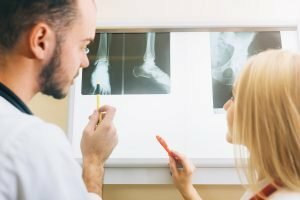 STAT MED Urgent Care provides walk-in sports injury treatment to residents of Dublin, Livermore, Concord, Lafayette, and other communities throughout San Francisco’s East Bay. Many sporting events are held on the weekends or in the evening after primary care centers have closed, but STAT MED Urgent Care is here for local athletes every day – our conveniently located centers are open seven days a week and have extended hours. Plus, in non-life-threatening situations, we are a considerably more convenient and affordable option for immediate care versus the emergency room. Our practice is led by experienced physicians who have backgrounds in emergency medicine. Our centers are equipped with digital X-ray machines and clinical labs to provide fast onsite diagnostics. We maintain minimal wait times and have an online check-in system to help busy patients like you feel better fast. Our one-of-a-kind concussion evaluation and care program called BrainWaves makes specialized head injury treatment easily accessible. Don’t let sports injuries keep you sidelined. 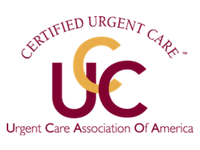 Contact STAT MED Urgent Care today to learn more about our approach to sports injury treatment, or simply stop by one of our centers the next time you need us. We proudly serve residents of Moraga, Orinda, Livermore, Concord, Lafayette, Pleasant Hill, Walnut Creek, and other communities throughout Northern California.